MVDS2 is the 2016 new Elber Multichannel Video Distribution System. 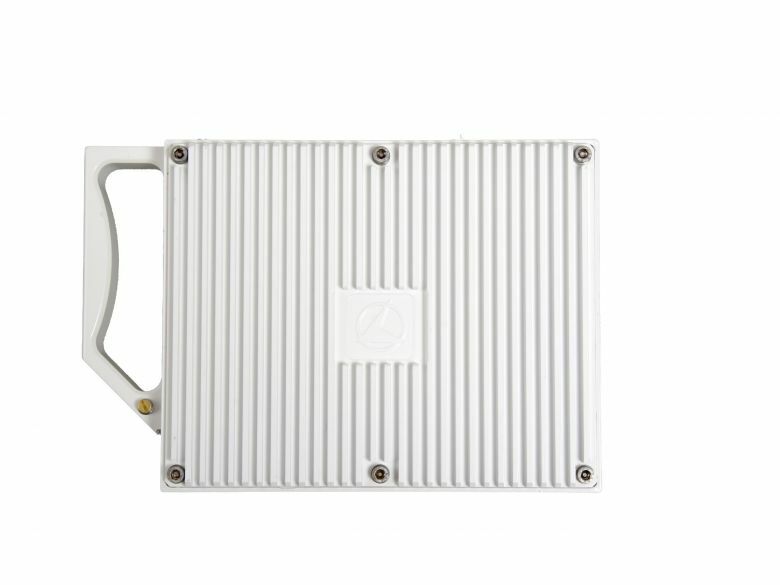 It integrates in a new, compact and lightweight housing a complete system able to broadcast in 12 or 14 GHz band a 500 MHz satellite transponder provided at input as multiplexed L-band signals. Designed for full outdoor installations, housing is IP65 proved and very easy to be installed on a mast or on a tower. The high linearity and wide dynamic range allows the system guaranteeing optimum quality of the output signal, avoiding intermodulation undesired products and gain unbalances over the full band. MVDS2, for every frequency range, provides two output power versions, Standard and High Power, getting up to 10W linear @ 14 GHz High sub-band. The system embeds a web server for direct monitoring and configuration of the unit, via ad hoc cable or via WI-FI. However, MVDS2 can be remotely controlled by ELBER CLEBER or CLEBER3 multi-purpose platform, offering a more complete user interface and TFT display; with CLEBER3 the connection can be wired and wireless, with CLEBER just wired. CLEBER and CLEBER3 can also host many different boards such as ELBER DVB-S/S2 modulators, encoders, Switches, so that the user can optimize the space, the number of devices and the costs of a full system.